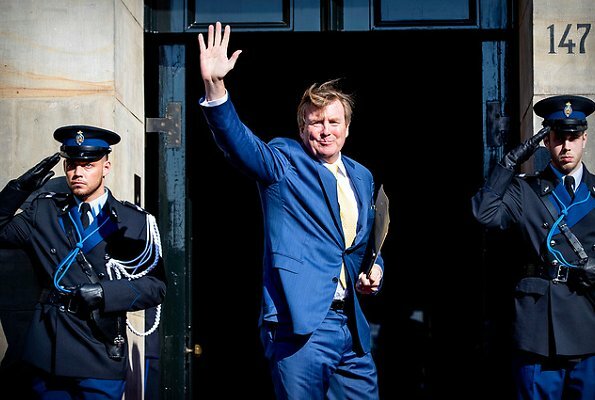 On the evening of April 9, Tuesday, King Willem-Alexander and Queen Maxima held an annual Gala Dinner at Amsterdam Royal Palace for the Diplomatic Corps. The annual dinner is held for the purpose of strengthening international relations. This year, the evening was devoted to art and culture. For that reason, representatives from the art and culture world of the Netherlands were also invited to the Gala Dinner. 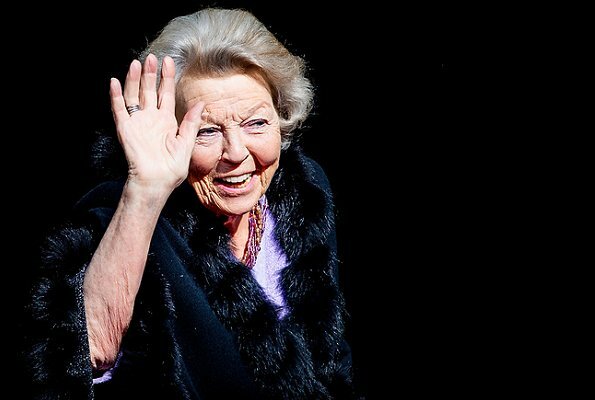 Princess Beatrix and Princess Margriet were also present at the gala dinner. Hmmm...lots of green drape material on her. The color is nice. How does Maxima know what's what where in that gown? outfit? Her tastes are getting more and more bizarre. I see there is no designer name attributed to that monstrosity. 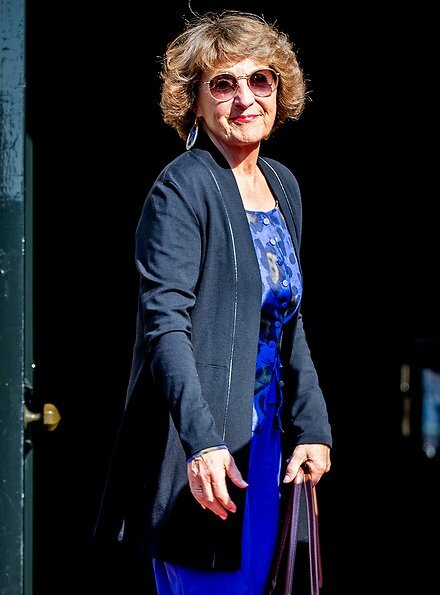 And Margriet's outfit is as blah as can possibly be. The gala dinner takes place in the royal palace of Amsterdam. 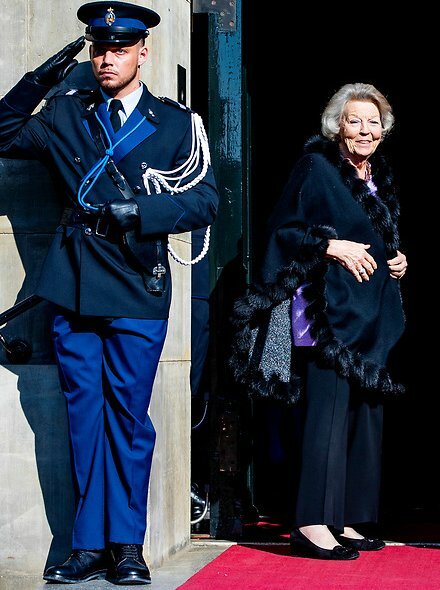 These photos are taken when the royals arrive to the palace. 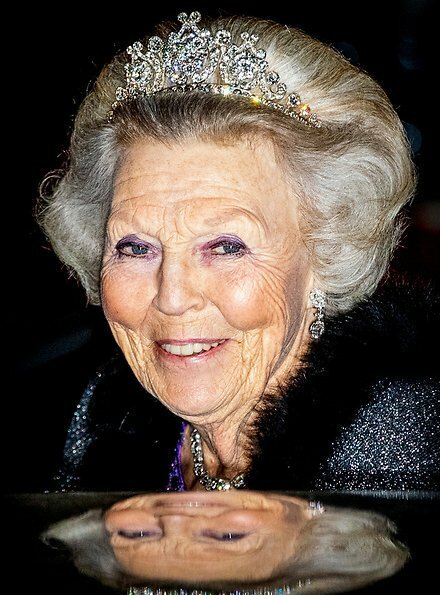 As all the members of the royal family live outside Amsterdam they usually wear "ordinary clothes" for the rather long drive and change for the gala attire when in palace. 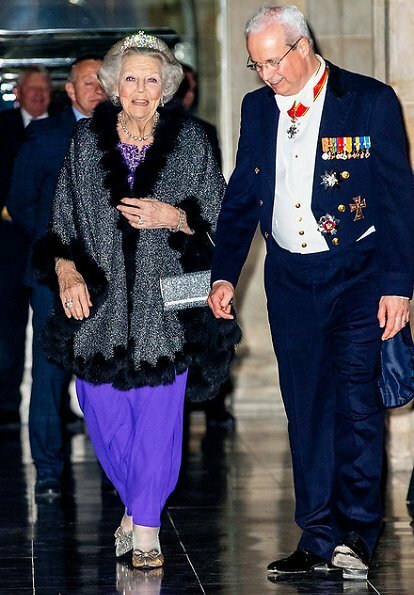 Photos of them leaving the palace after dinner usually show the gala gowns. Oh, new Pictures. Now it's photo nr. 10. Okay, ich muss mich korrigieren. Habe jetzt gelesen, dass die Fotos lediglich die Ankunft zeigen. Das Gala-Dinner war später am Abend. Maxima hat sich nochmal umgezogen und sah danach richtig schick und passend aus. Maxima's white gown looks beautiful on her. Great fit. Maxima looks stunning in white. Love everything about this look. When she gets it right, then she gets it stunningly right! 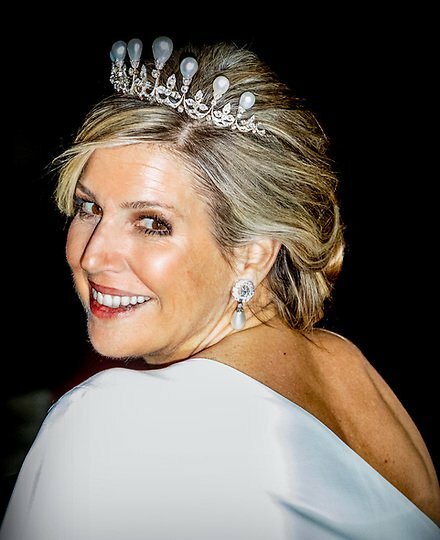 Queen Maxima knows how to do gala! Amazing dress and jewel combo! I love the white gown dress, she looks very well, the jewels are a great complement, however I would prefer to see grey/silver shoes and handbag. After reading the previous comments, I get that the green thing is some sort of robe :-) but the white dress, oh yes!! It looks even better than the model. Máxima has the body and presence for these type of gowns, lovely hair, and the jewelry just on point. Beautiful! This white gown and killer jewelry, Q Maxima looks a million $. The other Royal ladies also look beautiful. But I feel I must comment on this green pantsuit, I really don't know what to say, it looks like a blanket wrapped around her. In the white gown she is a hit, in the green thing a miss. 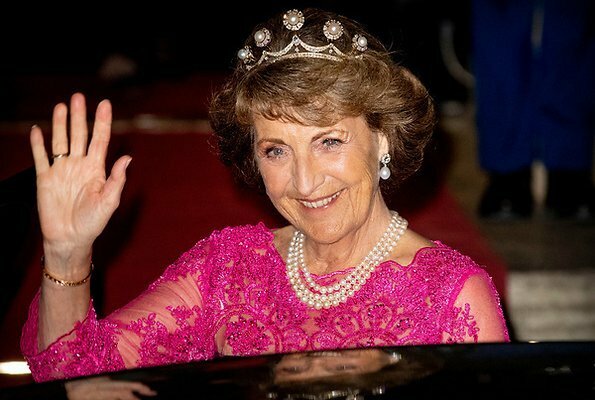 She only looks good (hair and dress) when she has her tiara and jewels on at galas. In other occasions her hair is always a mess and her choice of outfits are awful, for instance the terrible green whatever it is! 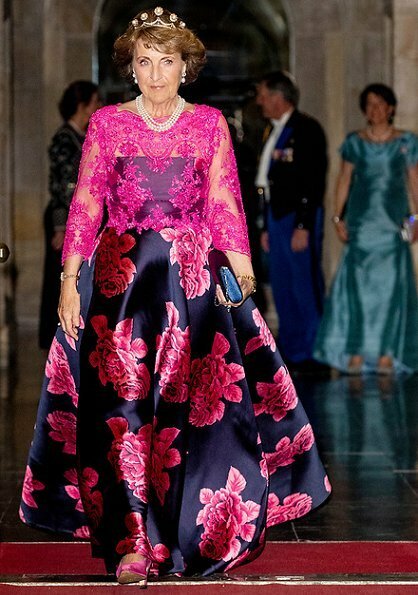 I like Princess Margriet going in outfit more than the gala dress. If the hair is allright - everything looks allright. Stunning Queen in white! everybody else also looks fab.